I’m kind of addicted to Instagram. I love looking at amazing photos, learning new recipes & tips and sharing about places and food I eat too. I get so much inspiration just from looking at photos. It’s great for breakfast, a snack or dessert. You can serve with vanilla ice cream. 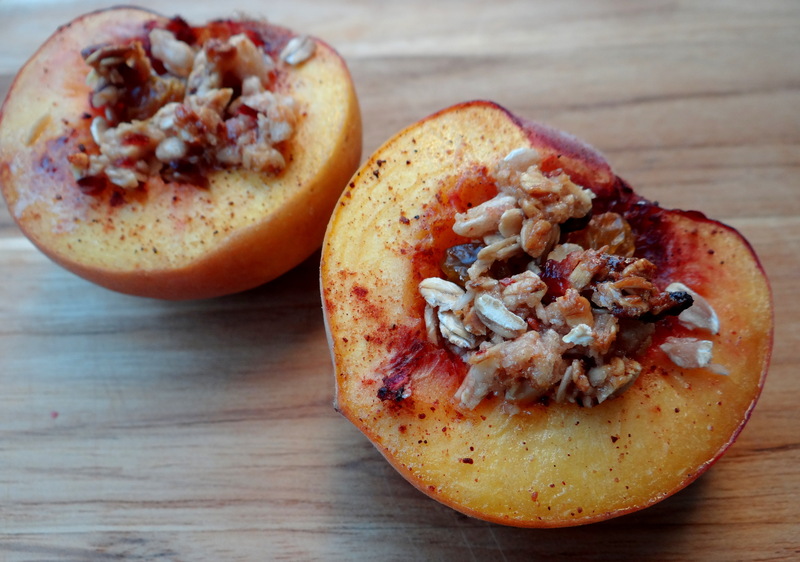 The peaches get warm and juicy and you get a bit of crunchiness from the granola. Can’t get any easier than this! Thank you ohthatsgrace for the idea & inspiration!